"The class sizes are small; I feel like you can really get to know your lecturer - they are more of a mentor than a teacher." Gain hands-on learning and practical skills development and become a naturopath. Naturopath is the use of alternative medicine to restore vitality and stimulate the body’s own healing mechanisms. A modern scientific approach is applied with the ‘power of nature’ to recognise the ability of the body to overcome disease. A qualified naturopath can clinically assess, diagnose and treat patients through the use of herbal and nutritional medicine, traditional modalities and lifestyle advice. * ACNT reserves the right to increase fees by up to 10% in each calendar year to cover increases in the cost of course delivery. The total course cost will depend on the duration of the course and whether a student studies full time or part time. In Herbal Manufacturing students are familiarized with different forms of herbal preparations exploring the definition, herbs used, manufacturing techniques, preservation and application. This information is applied in compulsory laboratory sessions where students are immersed in the practical aspects of herbal medicine making. Students are introduced to the requirements of working in a professional herbal medicine dispensary. Students are also introduced to the commercial regulatory environment including manufacturing and distribution requirements of herbal medicines in Australia. Botany introduces students to the study of plant structure and function. Plant taxonomy, nomenclature, classification and identification will be discussed with special regard and relevance for the study of naturopathy and western herbal medicine. Students will be introduced to selected medicinal plants as examples of key plant families, relevant cultivation and conservation considerations. Complementary Medicine Foundations introduces the historical and conceptual emergence of Naturopathy and Western Herbal Medicine and how this underpins contemporary clinical practice in Australia and globally. It specifically focuses on professional practice: introducing the therapeutic model, the underlying theoretical and philosophical concepts, and discusses the differences between various approaches to the health-disease-healing process. Students will be introduced to the local regulatory environment of the complementary medicine professions within the context of their career outcome and best practice. This subject introduces key concepts regarding ethics and communication in therapeutic relationships. Human Structure & Physiology 2 will further develop knowledge of the structure and physiology of the human body with special attention given to the integration of human systems and beginning to explore the impact of disturbances in Homeostasis and disruption of normal function. The structure and function of the lymphatic, immune, digestive, nervous, endocrine, urinary, reproductive systems and the special senses are covered in detail including the homoeostatic control mechanisms of each system and the integration of the systems in the body. This subject builds on the knowledge and understandings of human structure and physiology, provides the foundation to look at disease, disorders and syndromes and their pathophysiology, in later subjects. Evidence-based practice is an essential component of the exercise of clinical judgement in the delivery of quality healthcare. Students will also gain an understanding of how research evidence is translated into practice. This subject provides students with an introduction to health informatics, research and digital literacy, critical thinking and evidence-based practice. Students are guided through the skills necessary to locate, critique and interpret a research article for application to their practice. They will become familiar with quantitative and qualitative evidence, research methodology, basic descriptive and inferential statistics and the foundational skills to be able to evaluate and appraise evidence in healthcare research. Human Structure & Physiology 1 introduces the basic concepts and terminologies required to study and understand the structure and function of the human body. This subject will build on the biological foundations by exploring the interaction and organisation of cells, tissues and organs which forms a basis to study the physiological integration of key body systems. The maintenance and regulation of the internal environment by homeostasis at a system level will be key to students understanding disruption and disease in later subjects. Key physiological and functional processes such as movement, metabolism, oxygenation and protection will be discussed, with body systems including the integumentary, musculoskeletal, respiratory and cardiovascular system the focus of this subject. This subject will provide the first part of an evidence based foundational knowledge of human physiology to guide health practice. Biological Foundations explores the biological building blocks which make up the human body from the chemical level up to the cellular level. These essential chemistry concepts will assist with building relevant links to the study of human physiology in later subjects. The subject then explores the foundational studies in biochemistry which includes the structure and function of carbohydrates, proteins, enzymes, lipids, DNA and RNA. The concepts of gene expression and regulation are discussed in addition to the cellular membrane structure and transport through the membrane. The study of the biology of the human cell concludes this subject and upon completion equips students to commence study at the tissue level of structure and physiology subjects. Herbal Pharmacology builds on herbal medicine concepts introduced in Herbal Materia Medica 1 and 2. It introduces the student to herbal phytochemistry and pharmacology. Herbal concepts are explored including discussion of chemical complexity, synergy of medicinal plants and factors influencing the quality of herbal medicines. Students will explore the pharmacokinetics and pharmacodynamics related to herbal medicines mechanism of action, and extend their knowledge of safety issues and interactions in relation to medicinal plants. Herbal Materia Medica 2 builds on knowledge developed in Herbal Materia Medica 1. In this subject the student continues to explore herbal materia medica relating to the musculoskeletal, urinary, integumentary, nervous, endocrine and reproductive systems by learning the origin of the plant, identification, active constituents, qualities, part used, actions, mechanisms of action, indications, preparation, dose and safety considerations. An evidence based practice approach is taken to incorporate both traditional knowledge and research-based evidence in the understanding of the contemporary use of herbal medicines. Students will explore the similarities and differences between herbs and demonstrate an understanding of basic prescribing. Herbal Materia Medica 1 introduces students to the characteristics of herbal medicines and basic herbal categorisation. Students will learn the language and terminology of herbal medicine and explore materia medica relating to the digestive, hepatic, immune, respiratory and cardiovascular and circulatory systems. In depth understanding of the origin of the plant, correct identification, active constituents, qualities, part used, actions, mechanisms of action, indications, preparation, dose and safety considerations of each herb is explored. An evidence based practice approach is taken to incorporate both traditional knowledge and research-based evidence in the understanding of the contemporary use of herbal medicines. Students will explore the similarities and differences between herbs and demonstrate an understanding of basic prescribing. Clinical Assessment builds on the theory of the Human Systems & Pathophysiology subjects and develops practical skills for clinical assessment and examination of the client. Skills for history taking, gathering clinical information, observing clinical manifestations, critically analyse signs and symptoms, identifying red flags, interpreting medical reports, pathology tests and diagnostic imaging are developed. Students will explore a range physical examination techniques using appropriate equipment to reach primary and differential diagnoses. Students will develop and practice skills in effective communication, respecting clients’ privacy, work health and safety concerns as well as the need for referral to other health care practitioners in a professional manner. Human Systems & Pathophysiology 2 builds upon the concepts explored in Human Systems & Pathophysiology 1 and continues to expand student’s skills and knowledge in pathophysiology and the human disease process, in relation to individual, community and public health. The pathophysiology and symptomatology will be covered for various disease states of the musculoskeletal, integumentary, hematologic, pulmonary, endocrine, renal and reproductive systems. Conditions specific to gerontology and aging will also be considered. – General diagnostic approaches will be introduced and the commonly used laboratory tests and interpretation of such findings for the associated disorders and conditions will continue to be developed. Human Biochemistry explains the processes of macromolecule metabolism, energy production and storage in the body. Included in this subject are the metabolism of carbohydrates, lipids and amino acids; the role of ATP and acetyl CoA in metabolism; oxidative phosphorylation, the electron transport chain, biosignaling and chemical communication. The concept of gene expression and regulation is also explored. Human Biochemistry provides healthcare practitioners a vital foundation on the basic macromolecules and genetic understandings essential for life. This knowledge will be built upon and expanded further in later subjects. Human Systems & Pathophysiology 1 is the first of two subjects that builds upon the foundational studies in Human Structure & Physiology and then expands student’s skills and knowledge into the area of pathophysiology and human disease process. Understanding the pathogenic process and the disruption of homeostasis in relation to disease will be important concepts, in the context of individual, community and population health. –	Basic pathological processes in response to injury and growth abnormalities. –	Immunology, toxicology, microbiology, and their characteristic diseases. –	Pathophysiology, symptomatology and clinical manifestations for diseases of the gastrointestinal, neurological and cardiovascular systems. –	Introduction to commonly used laboratory tests and interpretation of findings. This subject builds on concepts developed in human biochemistry and the foundations of nutritional science. The biochemical structure and function of macro and micronutrients and biochemical mechanisms associated with digestion, absorption, transport and storage are examined. The integration of biochemical mechanisms of nutrients with disease pathophysiology is explored. This subject also provides an in depth understanding of the microbiome, biological oxidation, inflammation, antioxidants, liver detoxification and neurotransmitter synthesis. Students will learn about nutritional genomics and epigenetics and how they relate to professional practice. The clinical relevance and importance of nutritional biochemistry for the nutritional management of major diseases is also emphasised. Integrated Pharmacology comprises a study of basic principles of pharmacology, the pharmacokinetics of drugs commonly used in medical practice and common interactions between drugs and natural remedies. Drugs for pain, inflammation, infection, mental health, cardiovascular, respiratory, gastrointestinal, reproductive and endocrine systems are discussed. Drug actions, uses, contraindications, adverse effects and interactions with natural remedies are discussed, together with implications for naturopathic, nutritional and western herbal medicine prescribing. This subject is crucial for the modern healthcare practitioner to understand common medications that patients may be taking and common interactions between these medications and natural remedies. This subject also emphasises the need for clear lines of communication and common language between doctors and complementary healthcare practitioners in order to obtain the best health outcomes for clients. Advanced Herbal Therapeutics builds on herbal medicine therapeutic subjects and will explore advanced herbal medicine therapeutic strategies for advanced, multi-factorial health conditions. An evidence based practice approach will be taken when formulating and prescribing for these complex and emerging conditions. Students will be challenged to consider the importance of collaborative client care and clinical risk management of these conditions. Problem based learning workshops will apply this information to theoretical case studies. Herbal Therapeutics 2 builds on herbal medicine concepts introduced in Herbal Therapeutics 1. Students will continue to explore herbal medicine therapeutic protocols relating to various health conditions and body systems. They will explore herbal prescribing strategies to effectively construct herbal formulas for individualised client-centred treatments. Students will learn to prescribe across various lifestages in a safe and ethical manner. An evidence based practice approach will be employed to justify treatment decisions. Collaborative problem-solving and case-based workshops provide an active learning environment for this important subject. Herbal Therapeutics 1 builds on herbal medicine concepts introduced in foundational herbal medicine subjects. Students will now explore herbal medicine therapeutic protocols relating to health conditions within various body systems. They will explore herbal prescribing strategies to effectively construct herbal formulas for individualised client-centred treatments. Students will learn to prescribe across various lifestages in a safe and ethical manner. An evidence based practice approach will be employed to justify treatment decisions. Collaborative problem-solving and case-based workshops provide an active learning environment for this important subject. Nutritional Therapeutics 2 (NUT301) builds upon Nutritional Therapeutics 1 (NUT208) in which students begin to integrate health science and human nutrition knowledge for the dietary and nutritional management of particular health conditions. Students will analyse and critically evaluate the evidence and examine specific body systems and associated health conditions to develop treatment approaches in a case based learning environment. The endocrine, cardiovascular, musculoskeletal, reproductive, urinary and renal, and dermatological systems will be examined. Pediatric conditions and HIV and Aids will also be reviewed. Following on from Pre-Clinical Studies 1 (PCS207), students will apply their theoretical and practical knowledge of case taking, holistic, biomedical and therapeutics to conduct critical case analysis and management through the use of holistic evidence based principles, clinical examination skills, and techniques to implement appropriate therapeutic strategies and prescriptions in a simulated clinic environment. Students will refine interpersonal skills including patient counselling and develop their capacity to give and receive constructive feedback. Throughout the subject, students will reflect and develop their practitioner persona for future clinical practice. Students will also build on their understanding of clinical practice by undertaking 25 hours of clinical observation in the Student Clinic. Nutritional Therapeutics 1 (NUT208) is the first of a two part series in which students begin to integrate their health science and human nutrition knowledge for the dietary and nutritional management of particular health conditions. Students will analyse and critically evaluate the evidence and examine specific body systems and associated health conditions to develop treatment approaches in a case based learning environment. The digestive, hepatobiliary, neurological, immune, respiratory systems and conditions affecting the special senses including the eyes and ears will be examined. Pre-Clinical Studies 1 (PCS207) is the first of the two part series of Pre-Clinical subjects in which students observe clinical practice, learn effective communication and counselling skills and professional ethical practices. This subject reinforces evidence based practices and the principles and philosophies of natural medicine, which sets the basis for guiding students to progress and evolve through the development of critical thinking, case history taking skills and communicating holistic understanding, and the therapeutic plan in a workshop setting. Students will complete a minimum of 25 hours of external observation over the trimester. Students will familiarise themselves with the day-to-day operation of clinical practice. They will observe practitioners and clients in consultation, undertake a range of administrative tasks and observe dispensaries in action. This provides an opportunity for the student to develop an awareness of the application of professional skills in a clinical setting. These skills are not only to do with the practice of complementary medicine but also clinical skills such as interpersonal relations, scope of practice, duty of care and ethical compliance business acumen and an appreciation of the Australian health care system. In Naturopathic Clinical Practicum 3 (NCP409), students required to undertake clinical practicum working in a public student clinic. 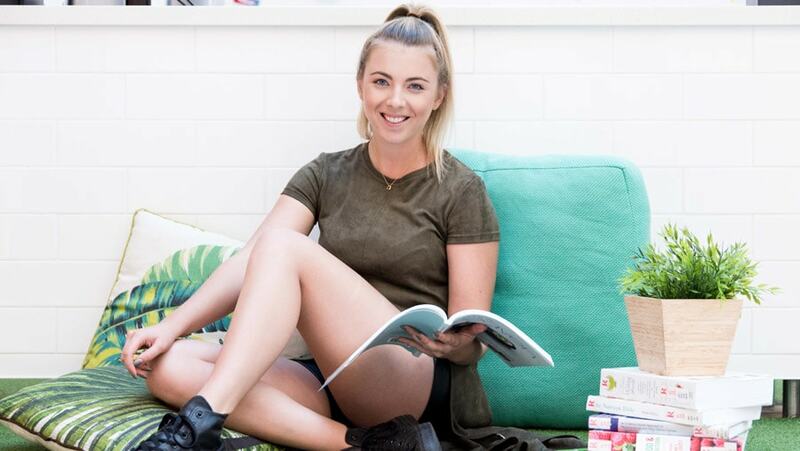 This is the final clinical subject of the Bachelor of Health Science (Naturopathy) and is the culmination of all of the theoretical and practical studies undertaken to date. This subject will be delivered via participation in a student clinic in which students will be conducting full client consultation, detailed client assessment and treatment. This will all be undertaken under the supervision of experienced clinicians. In the advanced Clinical practicum units, students will be expected to work more independently, and to work with clients with a range of more complex health needs. They will be expected to ensure their treatment approaches are informed by contemporary research. There will continue to be ongoing feedback and assessment from the supervising practitioner throughout this unit. In addition, further integration and research is undertaken through the use of targeted case study, analysis and presentation. In Naturopathic Clinical Practicum 2 (NCP408), students required to undertake clinical practicum working in a public student clinic. Students may be expected to work more independently, and continue to develop and refine their clinical skills. Students will begin to work with clients with a range of more complex health needs. They will be expected to ensure their treatment approaches are informed by contemporary research, and to integrate relevant cultural, religious, gender, linguistic and social aspects of their clients into clinical decision making. This subject will be delivered via participation in a student clinic in which students will conduct full client consultation, detailed client assessment and treatment. This will be undertaken under the supervision of experienced clinicians. In addition, further integration and research is undertaken through the use of targeted case study, analysis and presentation. An integrative naturopathic approach is necessary for contemporary clinical practitioners. In Integrative Clinical Studies 2 (ICS402) students will continue to develop critical thinking and decision making skills in the context of developing holistic treatment plans using core and specialist modalities. This problem based learning subject covers individualized treatment of complex clinical cases including paediatrics and geriatrics. Experienced clinicians will facilitate case discussions that will draw on public health policy, contemporary research, ethics and clinical practicalities. Issues of social justice, diversity and human rights will be explored. Students will evidence effective communication with clients and health professions. This subject has compulsory attendance requirements. In Naturopathic Clinical Practicum 1 (NCP407), students are required to undertake clinical practicum working in a public student clinic. This is the first subject in which students undertake a practitioner role in the clinic. In this introductory subject, students are paired with another student practitioner and are introduced to the operations of the clinic. Students will begin to manage patients, records and equipment, and undertake basic patient assessment. They will also learn how to dispense prescriptions. In this subject students are required to begin integrating all the theoretical and practical studies undertaken throughout the course. It provides basic clinical skills for students’ future clinical practice. For each presenting case, clinical practicum students are required to take a detailed history, conduct relevant assessment, critically analyse data collected to compose a Naturopathic understanding, construct therapeutic treatment aims, define mechanisms of action of selected modalities and propose a therapeutic prescription. Students are to act professionally and assure patients safety at all times. Students in clinical practicum 1 are guided through this process with the support and strict supervision of an experienced clinical supervisor. No diagnosis or treatment will be made until the supervisor has determined the appropriateness of diagnosis and treatment proposed. In addition, further integration and research is undertaken through the use of targeted case study, analysis and presentation as assigned by the clinical supervisor. This subject will be delivered via participation in a student clinic in which students will conduct full client consultations, detailed client assessment and treatment. This will all be undertaken under the supervision and guidance of teaching clinicians experienced in their modality of specialisation. In addition, further integration and research is undertaken with targeted case study, analysis and presentation. In Integrative Clinical Studies 1 (ICS401) students will refine critical thinking and decision-making skills in the context of developing holistic treatment plans using core and specialist modalities. Experienced clinicians will facilitate problem based case discussions that will draw on public health policy, contemporary research, ethics and clinical practicalities. Issues of social justice, diversity and human rights will be explored. Students will evidence effective communication with both clients and other health professions. In this subject, students write a literature review on a topic of their choice, which must examine a clinical aspect of their speciality. The emphasis is on presenting and critically evaluating current literature by searching for and appraising the literature, and writing a clear and fully referenced literature review. Students will be expected to present a proposal early in the trimester, and a full literature review by the end of the trimester. The in class experience is practical in nature where the students are provided a collaborative environment to cover the process of writing a literature review, ask questions and receive feedback on their own projects. This subject includes the development of the students own voice through exploring and experimenting with new ideas in making and/or interpreting work. The student will develop acquired skills, develop conceptual skills and ideas, evaluate their own work and research work opportunities. The student consolidates their knowledge of the design industry, design as a profession and the relationship between design and other industries. The student applies industry knowledge to work activities, maximising effective performance and also gains knowledge of ways to maintain currency in design industry trends and practice. This final year subject builds on and further integrates the concepts introduced in Nutritional Therapeutics 1 and 2. Students will explore the evidence base for advanced clinical nutrition and extend their knowledge of therapeutic mechanisms and application of nutrients and phytochemicals through a functional and integrated systems approach. Foetal programming, mitochondrial dysfunction, genetic polymorphisms, neurological, metabolic, and inflammatory disease, and cancer will be explored. Students will continue to learn how to devise comprehensive nutritional therapeutic strategies with an emphasis on complex health conditions. In this subject, students will be expected to integrate knowledge from Clinical Assessment, Research & Evidence Based Practice and Nutritional therapeutics to provide clinically informed decisions in developing nutrition interventions for complex clinical cases. In Flower Essences (FLE405) students are introduced to Bach and Australian Bush Flower Essences and how to appropriately prescribe these in the context of a naturopathic consultation. Students learn about the presenting emotions of the client as they relate to the flower essence therapy and learn to formulate individualised prescriptions based on client assessment. Referrals to appropriate health care professionals is explored in regards to safe prescribing. Iridology (IRD302) introduces the basic concepts of iridology, types of iris signs and application to the concentric zones of the iris, as well as the study of individual organ signs in the iris. Variations of structure, colour and proportion in the iris are observed, analysed and interpreted in terms of an individual’s health status, and will be used as a tool to assist in the formulation of a naturopathic treatment plan. This subject is a core subject for final year students in the Bachelor of Health Science Clinical Nutrition and an elective for the Bachelor of Health Science Naturopathy and Bachelor of Health Science Western Herbal Medicine students. This subject will provide students with the knowledge and skills necessary to conduct thorough nutritional assessment and construct therapeutic dietary interventions in clinically specific disease states. This subject will also provide students with the fundamental skills in communication and counselling techniques to be used when consulting and effectively communicating with culturally diverse groups and patients. Students will learn the counselling and education skills required to implement behavioural change in professional practice as Health Practitioners.